New teaser of 'Inside Amy Schumer' shows Season 4 will be another raunchy ride - trendistic.com: ever tried. ever failed. no matter. try again. fail again. fail better. Perpetual funny girl Amy Schumer is back with a vengeance, with a dirty mouth and a handful of deliciously raunchy jokes. 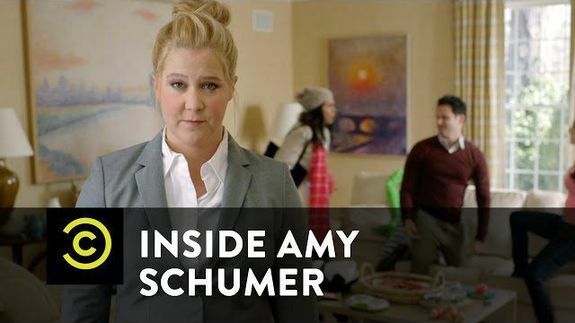 The newest promotion for Inside Amy Schumer shows off short previews of new skits with a common theme: Schumer with her legs up — at the gynecologist, at a bar, doing a spin-off of Hotline Bling. Watch for the show’s new season premiere on April 21 to see Amy give even less f*cks than seasons passed. WTF is a capybara and why is it so chill?